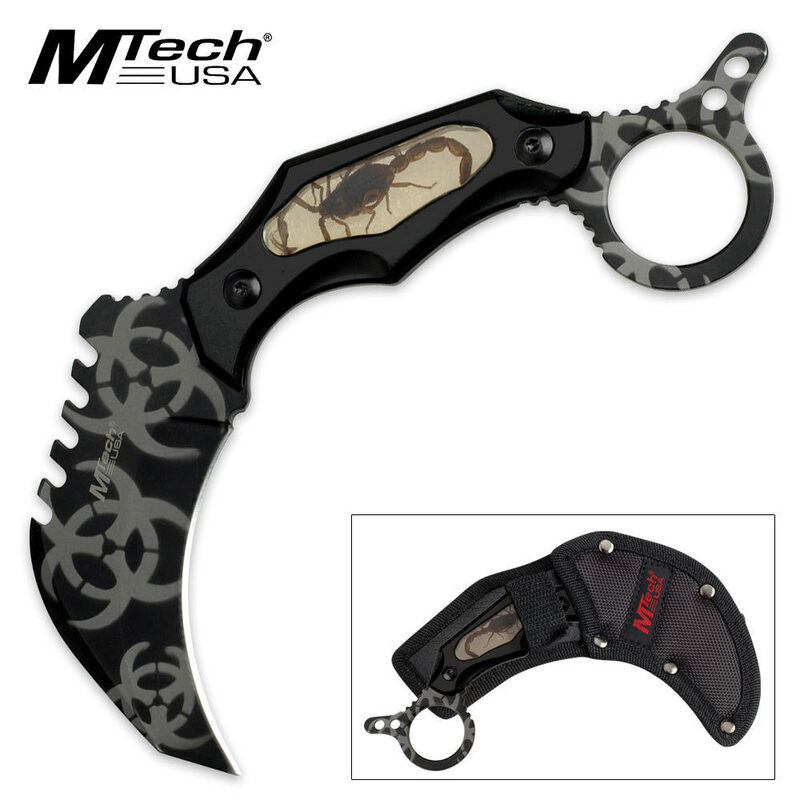 MTech Biohazard Scorpion Fixed Blade Karambit Knife | BUDK.com - Knives & Swords At The Lowest Prices! Whether you find yourself in a biohazard situation or not, you'll know you have backup in the form of this fixed-blade biohazard karambit knife. The 440 stainless steel blade has a non-reflective black coating with biohazard designs. The aluminum handle is lightweight and features a real scorpion encased in clear resin. Includes a nylon sheath.